Omnomnom Books: The Best Things Come in Threes...AUGUST Three! The Best Things Come in Threes...AUGUST Three! 1. It's my best friend's birthday today. Send presents. I'll, uh, make sure they get to her. 2. It's my boyfriend's best friend's birthday today too. 3. 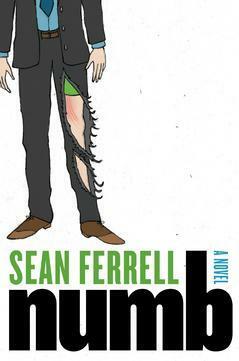 And finally, NUMB IS HERE. Now you can know what I've been talking about. Well done, August 3rd. Well done. Aww! Great day! How funny that their birthdays are on the same day! Do you guys go out together with them! My hubby & my birthdays are on the same day, a month apart. My son's is a week before mine and my daughters is a week after my hubby's. So, all four of us have b-days around the same time. Talk about cupcake overload! Today is my 14th wedding anniversary, so I agree that Aug. 3rd is a great day! Happy regards to your BFF and your boyfriend's BFF! And now I'll have to check out The Book. Thanks!